Note: The 90 second running clock is a “sweet spot” of intensity. Combining the Row (approximately 30-45 seconds of work for Advanced Athletes) with the Wall Ball (approximately 30 repetitions with a 20lb. ball for Advanced Athletes) is an incredible stimulus. The gymnastic skills of Rope Climb and Pass Throughs may be performed during rest between the Sprint Rounds, or after all 5 Sprint Rounds are complete. This is a sweet, well rounded, training session. Note: Today’s LIGHT workout comes from our CAMP Program. Modifications for the GI Jane will include Burpees to the Pull-up Bar. Teams of 2 will complete up to 10 rounds of this workout, with one partner working at a time. After one partner completes their round, they will “tag” their partner. 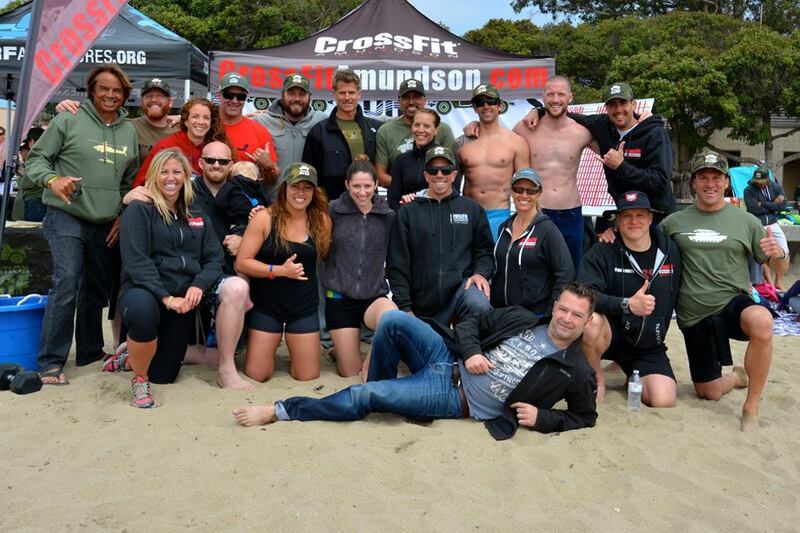 Week 4 – Santa Cruz Challenge Week!